San Francisco has long been an innovator in the world of winemaking, spirits and of course cuisine. 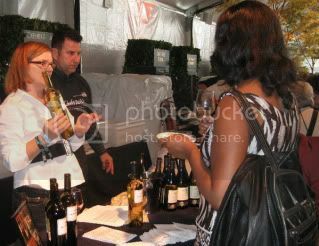 We saw a great benefit for our clients to showcase their wine and cuisine among their peers and appreciative fans for a very appreciative and qualified audience, upwards of 5,000 people this year. Our client, Wente Vineyards, had a prominent role in the opening night festivities as Karl Wente cut the ribbon with the city's top chefs, as well as, performing with his band the Front Porch and serving the Wente Family Estates portfolio of wines. Bar Bambino's arancini stole the show according to Eater SF and Tablehopper. Events allow attendees be they trade or consumer to interact in a more meaningful way with our clients, and we strongly believe in choosing the right events to best spotlight brands. Newer PostWelcome to Wine Lands!